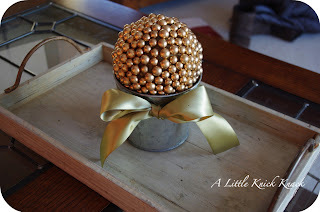 Northern Cottage: Blog Swap with A Little Knick Knack! 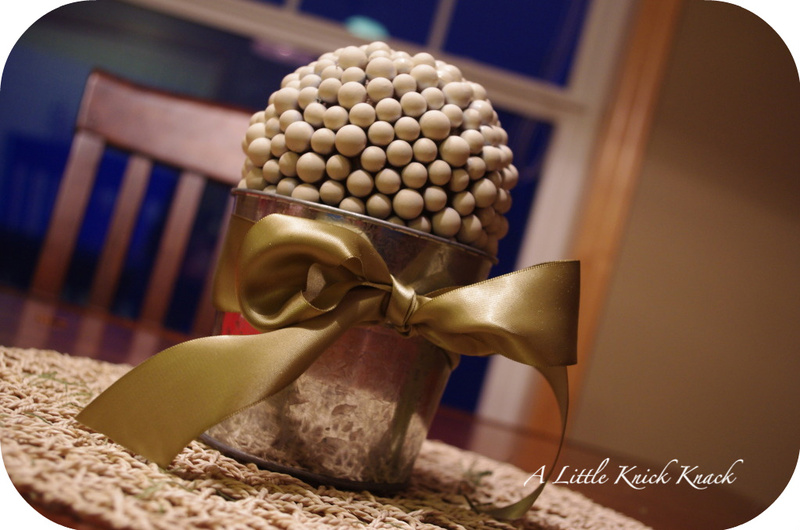 Blog Swap with A Little Knick Knack! 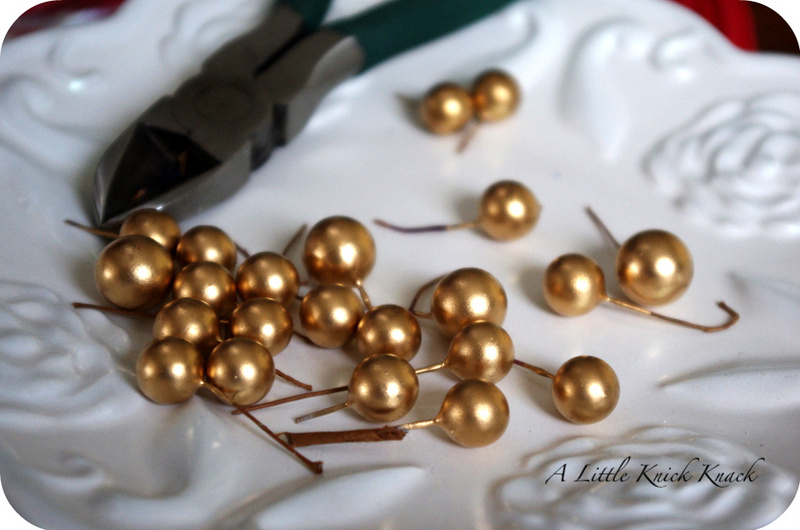 Today I'm doing my first blog swap with Meg from A Little Knick Knack. She is one crafty girl! I'm so excited to be here on Northern Cottage today. Isn't it a fabulous blog? As soon as I stumbled across it, I fell in love. Let me introduce myself! My name is Meg and I live over at A Little Knick Knack. 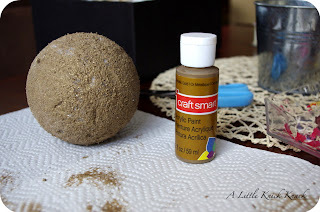 My blog is sort of a craft blog/home decor blog. I have 3 young children and started my blog to keep some sanity. 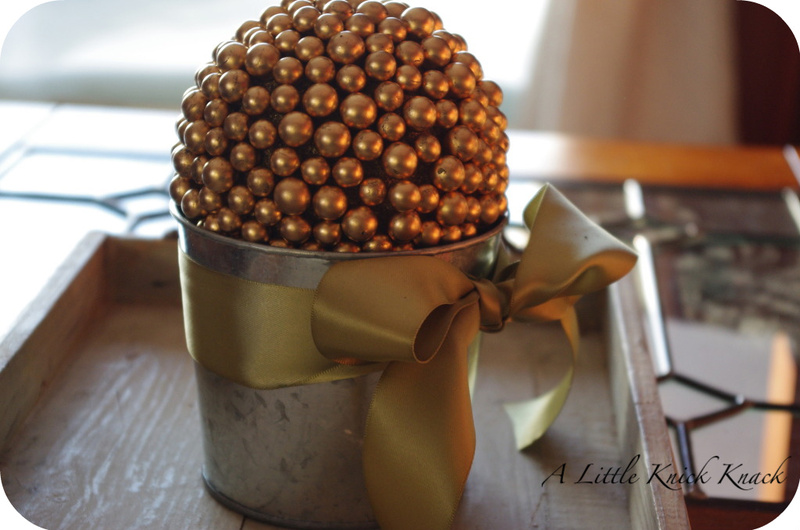 We're trying to survive the frigid winter right now, so crafting is the way to go! I love to offer my readers fun giveaways and prodcut reviews and I host a link party every Friday called Everything but the Kitchen Sink....where the rules are, there are no rules! I'd love for ya'll to stop by! First, gather your supplies. A Styrofoam ball, your tin pail (or whatever you decide to put it in), gold bead branches (mine are gold because I got them 70% off at the Christmas section in Michaels. Only $.39 per branch! Deal! ), wire cutters and some paint. First, paint your ball a darker color than your beads. You can wait for it to dry, or if you're impatient like me, you just start with the next step. Take the wire cutters and snip off the beads, leaving a little extra wire to stick into the styrafoam. This took me about 5 1/2 branches to cover the ball. ...so I just spray painted the whole thing a nice cream color (and since it's below zero here, I did in in our shower. I know. Don't tell hubs! )....either one looks great! 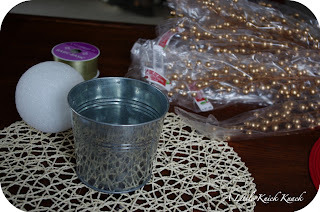 I hope you can come by A Little Knick Knack to see more fun craft projects as well as join my link party on Fridays! very crafty! I love it, you did a great job. That is something I may actually have my day care kids make their moms for mothers day!